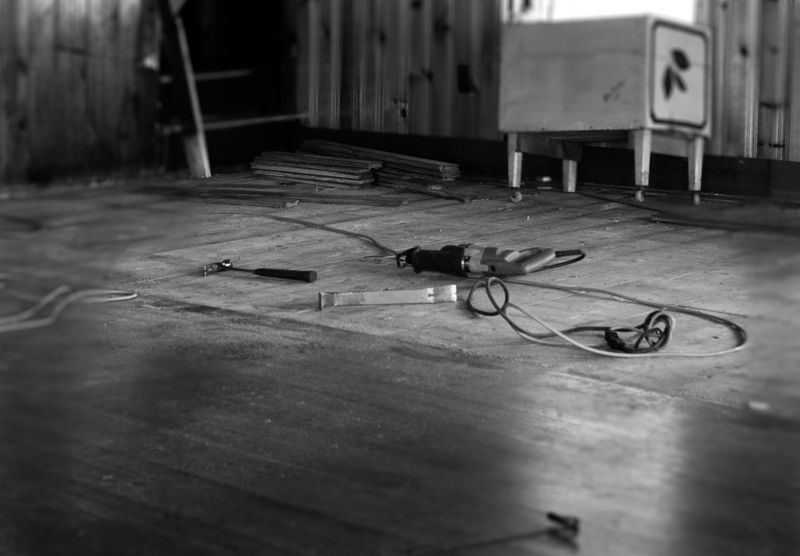 Since arriving here and starting this home rebuilding project one of the reoccurring themes has been “leverage”, in the physical sense – I have no desire to control others by using some underhanded or devious means to get an upper hand. 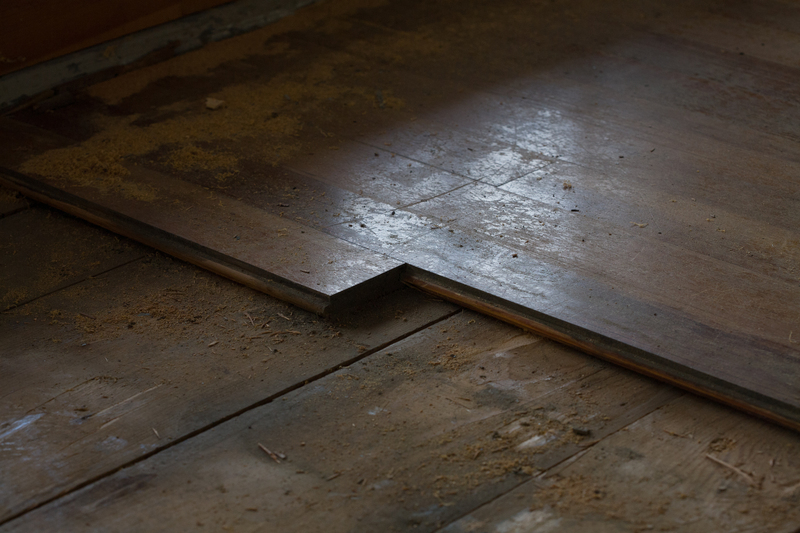 Leverage in my case, at least initially, involved removing floorboards from my beloved summer house, gently enough not to mar them but with enough force to separate the 80 year old tongue and groove boards with rusty nails from the subfloor. Once I had the technique, the pry bar and reciprocating saw became indispensable. But the pry bar (lever) needed to be as close to the reluctant nail as possible for a clean removal. Otherwise you’ll break off the tongue. Finding the right point was tedious and difficult at times due to the accumulation of dust and dirt. Leverage. As one ages and the muscles don’t quite do the heavy lifting they used to, we don’t have the luxury of “muscling” things in the apish way we did as 30 year olds. Lower backs scream, brachioradialis muscle (forearm) fail at the most inopportune times, and grips slip proving the necessity of steel toed boots. The energy is not quite there but the brains and experience can do the job. In this environment my existence is much more physical. Docks need to be moved in and out of the lake, wood needs to be cut and managed, holes dug, rocks moved. The need for leverage is universal among tool making humans. So it becomes necessary for appropriate and innovative tools or techniques. Archimedes, although not necessarily the discoverer of the lever, is the one who remarked,”Give me a place to stand on and I will move the Earth”… presumably with a very long lever. Indeed this morning, having moved wheelbarrows full of logs to a spot for storage and drying, I was attempting to dig a hole for a pressure treated 4×4 as a post when I met another of my reoccurring themes…a rock. The hole ended up being about 3 feet in circumference because I kept expanding …due to the rocks. And not wanting to ruin a shovel while in the process, I simply went to the wood shed to grab one of our two steel pry bars, in this case a 5 footer. To say “they grow ’em big around here” is an understatement. 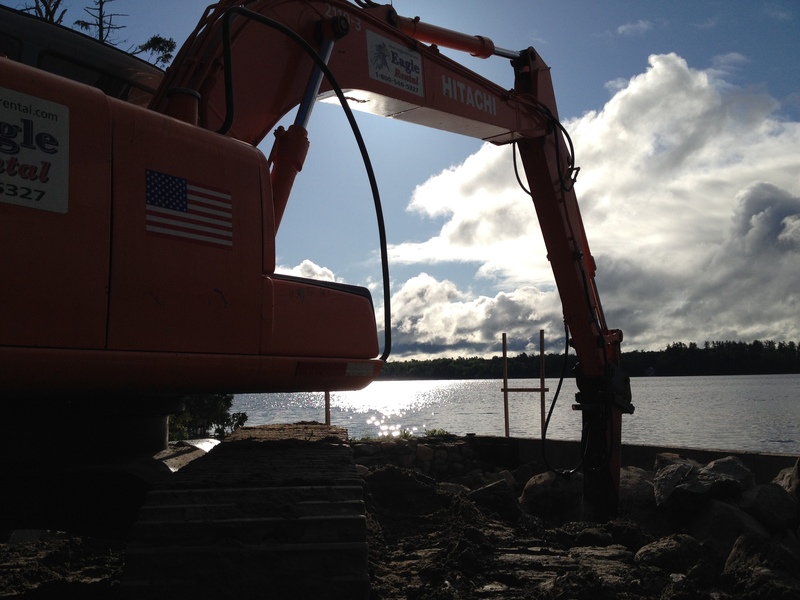 Living on a lake you can’t expect to dig more than a few inches before hitting something hard. 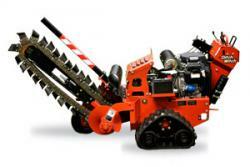 In Florida they use a machine called a DitchWitch to dig trenches for septic lines or conduit. It can be a small, one person ditch digger that generally has only sand and clay to deal with. No such machine in Maine. Too many rocks.! The only machine that can do the job here is an excavator. What happens when you have boulders in your way? A LARGE excavator with a jackhammer attachment. Specifically an Hitachi EX 120 6 ton, hydraulic excavator equipped with a 81 hp turbocharged Izuzu 4 cycle engine, steel tractor treads, axial piston motor with planetary reduction gear, and a maximum torque of 231 lb-ft at 1600 rpm. The footers for the frost wall will end up incorporating some of these boulders, there is only so much you can do. But in the meantime I had some of the granite moved to the edge of the work area because I intend to build a wall or table or mailbox or something with these beautifully jagged and squarish blocks. But how do I move them? Trucks, jin poles, winches, rock sleds, it remains to be seen. This entry was posted in Building a Home, Maine, Uncategorized and tagged breaking rocks, lake house, leverage, rocks on June 5, 2015 by smedleyman.